Our focus is on helping businesses facing various degrees of difficulty outside the normal course of business. For those in serious financial distress the help and advice we provide will always vary according to the circumstances and typical aspects are highlighted below under Turnaround. Click on any item for a brief description of our services. For those businesses that have problems but are not yet in serious distress our typical services are summarised under Performance Improvement. The skills and experience of our professionals are also highly applicable in transaction related activities such as acquisitions and disposals, refinancing and business planning. Please click on any of the services below to see a brief description of how we can help your business. Restructuring officer and CRO are US terms that have become increasingly used in the UK and Europe. The role is to lead the development and implementation of a turnaround plan and normally reports to the CEO or the board. It benefits the company by adding dedicated turnaround and restructuring experience and skills at board level and leaves the other executive directors with more time to continue to run the day to day operations of the business. Importantly, it adds credibility to discussions with stakeholders and aids the resolution of difficult negotiations. 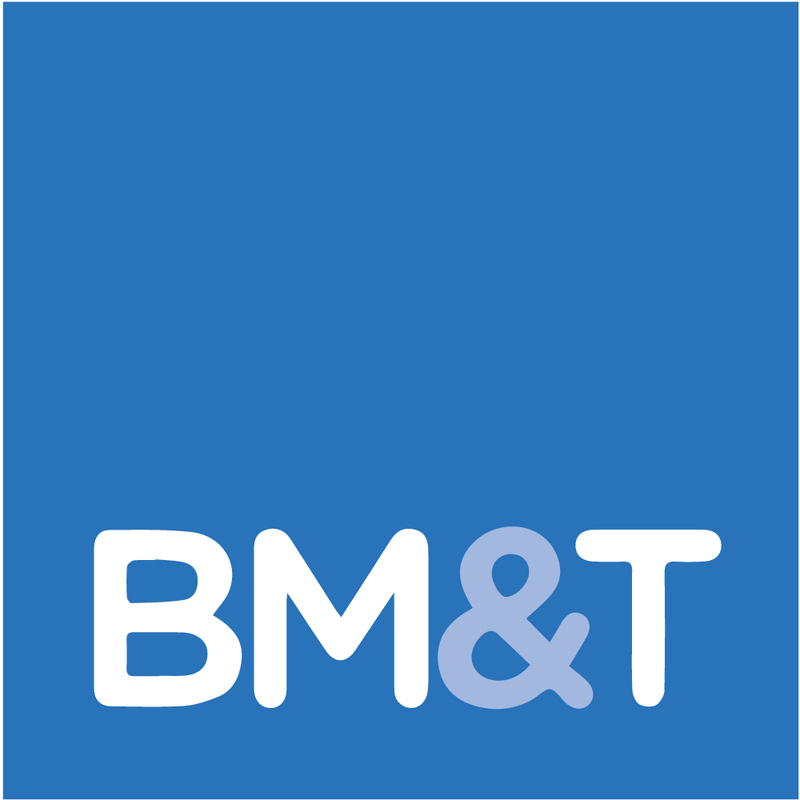 BM&T has years of experience in undertaking such roles and our senior professionals are comfortable operating in a flexible manner depending on the exact circumstances of the client’s situation. We aim to add additional specialist skills to the management team who have in all probability never faced such a situation before and the expertise doesn’t exist in-house. In the same way you would use a tax expert or a lawyer for a tax or a legal problem, it makes perfect sense to use a turnaround specialist to assist the company in a time of financial distress. For businesses which are not in the zone of insolvency but nevertheless not performing as well as expected, BM&T can bring all its skills to bear on targeting areas for rapid operational improvement. The turnaround skills of our professionals are every bit as applicable and valuable in helping a business improve its performance before it slides into further decline. Often an initial analysis can be conducted on a fixed fee basis to identify problem areas and the work needed to effect change. The plans can then be implemented by the company with BM&T supporting as required. This targeted approach from seasoned business professionals can yield impressive results for a reasonable cost. Acquisitions are high risk transactions and many fail to achieve the benefits that were expected. BM&T has worked on many due diligence assignments for clients and most of our professionals have significant experience of acquisition work from their days in industry. David Bryan in particular spent years in a public company acquisition team, originating deal flow and running due diligence on hundreds of potential acquisitions. Much of our work has been for US clients looking at making an acquisition in Europe. In the early stages we can provide a low cost, light touch service to look at the available information and identify areas of particular concern which will need in depth investigation and could influence price. We have often accompanied visiting senior management from our clients on initial site visits and target company management presentations. As the process progresses we can manage all aspects of the due diligence process and bring additional expertise to bear from our extensive network as required. This could be additional resource in other countries from our ERS network or specialist resources for advice on matters such as tax, pensions, employment law etc. The advisers in our network are all focused boutique with huge expertise in their field and able to work seamlessly as part of a larger team. We are firm believers in using best of breed expertise rather than a one size fits all approach and in avoiding any potential conflicts of interest. Nobody likes a crisis but they do happen, especially when a business is in distress. The pressure on management is severe and seems to come from all directions. It is all too easy to provide inaccurate information, make promises that can’t be kept and not be able to prioritise which problems need to be addressed first. Many years of experience working in these circumstances enable us to assist management. This can be done by just advising what to do or taking on the responsibility for doing it. Often it is a mixture of the two. This not only ensures the crisis is dealt with but also enables management to carry on running the business on a day-to-day basis. Many companies find cost reductions a difficult area. Often an independent eye can see things that those involved in the day-to-day management can’t. BM&T takes a focused approach to cost reduction, looking to quickly identify areas where maximum benefit can be gained. This might be through high level review of the structure of a group to simplify and streamline it through to detailed cost elimination to right size a business that has suffered a decline in revenues. Our professionals all have an industry background and know and understand the difficulties inherent in reducing costs without damaging the business. We also understand that implementing such plans can be painful and can help management to deal effectively with the human challenges that arise. BM&T’s work is nearly always with businesses is some form of transition. Business plans and financial models are an important part of almost every transition from turnarounds to acquisitions or disposals. A well constructed plan and financial model provides invaluable insight into how things are expected to transpire and the effects of changing underlying assumptions. All of our professionals have had a long career in business rather than advisory work and have prepared or read many business plans. We understand that a business plan must communicate certain essential messages to a target audience and should answer questions rather than leave the reader with more. Financial models should be based on key assumptions related to the specific business circumstances that can be easily changed to gauge the effect on profitability and cash flow. These are fundamentals BM&T is very used to dealing with. As experienced business people we can quickly grasp the issues and help our clients to prepare robust plans and models that are often used long after we have completed our engagement. In turnaround situations it is common to find many different stakeholders with differing interests. Trying to reconcile the differing demands of lenders, shareholders, suppliers, employees, landlords, pension trustees, customers etc can seem an impossible task. In the background there are also the issues surrounding directors liabilities which are often misunderstood. BM&T can bring clarity to such situations. We know how different stakeholders view such situations and can talk to them constructively. Often, the fact that an experienced turnaround firm has been appointed gives credibility to the messages being communicated and is of significant help in managing expectations and achieving a consensual solution to the problems that can be agreed by all stakeholders. We can also help the directors get appropriate legal advice and assist in ensuring it is implemented in a practical way. Cash flow is the life blood of a business but often far less well understood than profitability. BM&T’s work in turnaround has given us a deep understanding of cash flow, the complex interactions that drive it and how to improve it. Understanding the working capital cycle is critical to cash flow and BM&T can help identify the problems and issues that have a detrimental effect on cash flow. Our senior professionals have both operational and financial backgrounds and can help devise sustainable changes to the way working capital is managed, work with management to introduce them and ensure they continue. Quick wins can be attractive but it is lasting change that delivers real benefits to cash flow. In many acquisitions and in particular those of a cross-border nature, some local financing will be needed. We have assisted many clients in both clarifying their exact needs and aligning that need with what is available locally. This can vary significantly by country both in terms of how well developed the funding market is and also what is available under local laws. For example asset based lending packages can vary significantly across Europe due to differing laws impacting what is available as security and how that security is managed. BM&T understands these issues and its own knowledge and contacts in London combined with that of its ERS network around Europe provides a powerful resource for clients looking for finance. In turnaround situations the management of cash is critical to success. Cash flow is the life blood of the business and is always under severe pressure. BM&T takes an active role in ensuring cash is managed properly, that the correct priorities are met and that accurate cash flow forecasts are prepared so that problems can be anticipated and managed rather than being reacted to. We have a strong track record of finding ways to improve cash flow in these situations and have often devised imaginative solutions to keep the business afloat as the turnaround plan is developed and implemented. We are also adept at finding additional sources of short term finance where required. When a business is under performing, cost cutting is often the first thing that comes to mind. BM&T frequently finds that a review of revenue and margin performance can reveal insights that are often missed. Traditional costing methods do not provide good information for decision making and profitability by customer, product, or service line is often not well understood. Our team of professionals have many years experience at senior level in industry and can quickly get a grasp of the detail and where opportunities might lie. Our analysis can demonstrate the benefits and BM&T can produce clear plans to deliver them and assist with their implementation. It is a sad fact that many of the distressed businesses we see that need our turnaround services can trace poor post-acquisition integration as a root cause of their difficulties. Buying a business is one thing but making the acquisition work and delivering the expected benefits is where the really hard work starts and too many acquirers underestimate the magnitude of the task. The first hundred days after an acquisition are the time when maximum impact can be made. The acquired company is expecting change and it needs to executed quickly and decisively. For that to happen it needs to be planned in detail in advance of the acquisition completing and for there to be a team dedicated to making it happen. The skills required are very similar to turnaround activity with a focus on what will really make a difference and delivering it quickly and effectively. BM&T can assist clients with all aspects of post acquisition integration from the planning to the execution and provide additional resources to whatever extent the client requires. In a turnaround, adequate cash flow to see the business through the development and implementation of the turnaround plan is essential. With creditors often unwilling to extend further credit an innovative approach to financing is required. That can take many different forms depending on the circumstances and BM&T have found ways to help many clients over the years with short term arrangements for anything from invoice discounting to barter arrangements. As part of a turnaround there is often a need for a fresh look at the financing needs of the business going forward as it comes out of the turnaround. These may be quite different to what was in place before both in terms of the needs of the business and what is available in a rapidly changing market. The rise of alternative capital providers in recent years has led to a greater range of offerings other than just traditional bank lending and it is important to match the needs of the business with the best type of financing. As part of any turnaround plan BM&T will look at those needs and assist in ensuring the business is properly financed to support its business plan after our involvement has finished. Sometimes an organisation needs additional resource and needs it quickly. This can happen for many reasons; a sudden departure, long term sickness, maternity leave, transactional activity, financing projects, new regulations or compliance work and for other reasons. All require somebody who can step in and get up to speed very quickly and stay for a finite period until the project is complete, the role is filled or whatever else brings the need to an end. BM&T’s professionals have years of experience at senior level in business and with much of the work we do are used to stepping into such situations and making an impact almost immediately. Unlike agency providers, BM&T does not just fill a role and then step back, but will maintain contact with the client and the individual ensuring there is support and advice when needed and that the client’s goals are being met. There can be occasions where a rapid disposal of all or part of the business is a better option than the alternatives. Whilst this is not particularly common it can happen and value can be preserved by acting fast rather than allowing the options for the business to become further constrained. In such circumstances BM&T can act quickly to gather the necessary forecasts and other detailed information to quickly prepare an information memorandum. Working with regulated corporate financiers, tax experts, lawyers and others we can drive the process for a very rapid disposal and the preservation of significant value in the right circumstances. In keeping with our “best of breed” philosophy we have an extensive network of experts in various fields including tax, pensions and commercial due diligence who we can bring in to work seamlessly with ourselves and others to make this a quick and effective process. Our senior professionals are encouraged to maintain a wide variety of business interests and this includes occasional pro-bono work, mentoring of start-ups and non-executive director appointments in both the not for profit and for profit sectors and in quoted and private companies. We are always happy to discuss any such requirements and explore how we can help.